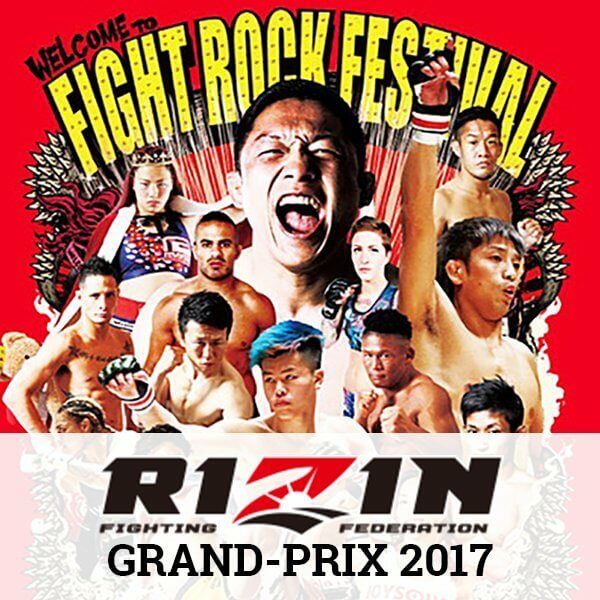 NEW YORK CITY (July 6, 2017) – FITE TV has announced it will stream Rizin Fighting Federation World Grand-Prix 2017 action Sunday, July 30, starting at 1 a.m. ET / 10 p.m. PT (Saturday, July 29), live from Saitama Super Arena in Japan. FITE TV is a Combat Sports Network that features MMA, boxing and wrestling programming. FITE gives viewers the choice to watch the program on line at www.FITE.tv/v/2kfjw, on their mobile device or their WIFI connected television using the FITE app. The FITE app may be downloaded for free at Google Play or the ITunes app store. The July 30th Rizin Fighting Federation (RFF) event, scheduled to feature 11 exciting fights, is available to watch on the FITE app and website for a suggested price of only $19.99. "We are thrilled to be the exclusive digital distributor for the Rizin World Grand Prix," FITE TV COO Michael Weber said. "This will be our second live event from Rizin and we are looking forward to seeing their exciting brand of action and presentation. This event continues our commitment to bringing the best of Asian combst sports to FITE TV viewers." Eight women fighters will be part of the loaded July 30th RFF card, headlined by the opening round of RFF Grand-Prix 2017, welterweight division, including former UFC title contender Kyoji Horiguchi (19-2-0) vs. Japanese fan-favorite Hideo Tokoro (34-9-2), former UFC standout Anthony Birchak (13-4-0) vs. DEEP Bantamweight Champion Takafumi Otsuka (22-13-2), and heavyweight standout Amir Aliakbari (6-1-0) vs. Bellator and WSOF veteran Tyler King (12-5-0). No. 1 ranked female MMA heavyweight and multiple Jiu Jjitsu world champion, Gabi Garcia (4-0-0), takes on four-time Russian National Boxing champion Oskanda Gagloeva, who will be making her pro debut. The 5' 9", 225-pound Gagloeva will be the most accomplished striker Garcia has ever faced. RFF has been putting emphasis on its women's division, welcoming new talent in their professional debuts, such as San Francisco-native Shimju Auclair against Sheena Star, of Michigan. MMA fans may watch the entire RFF card simply by downloading the FITE app and then cast the fight to the big screen by using the instant stream-to-TV function. The FITE app works with any Wi-Fi connected television around the world iOS an d Android-devices, as well as streaming devices such as Roku, Chromecast and more. Fans may also watch the fights live on the FITE website at www.fite.tv from any computer. Additional PPV fights are scheduled on FITE TV on a weekly basis. ABOUT FITE TV: FITE TV (www.fite.tv) is a programming network that brings live and on-demand ring sports programs to MMA, Muay Thai, wrestling and boxing fans around the world. With only access to a smartphone and a connected TV, with the FITE app, viewers can watch live events, on-demand programming, interviews and fighting sports related movies and documentaries on the big TV screen. FITE TV has worked with the leading combat sports promoters in the world including Golden Boy Promotions, Sauerland Boxing, Ring of Honor Wrestling, Impact Wrestling, Professional Fighters League, Rizin, Max Muay Thai and others. FITE TC is a full-fledged TV programming network, FITE televises live pay-per-views and TV tapings on a weekly schedule. FITE was launched on February 9th, 2016 as a product of Flipps Media Inc, a company that brings digital entertainment content (movies, news and video) on television with its patented tap-to-stream functionality. Flipps Media Inc. is funded by EarlyBird Venture Capital, Tim Draper and LAUNCHub. Abner Mares vs Saul Alvarez "Canelo"